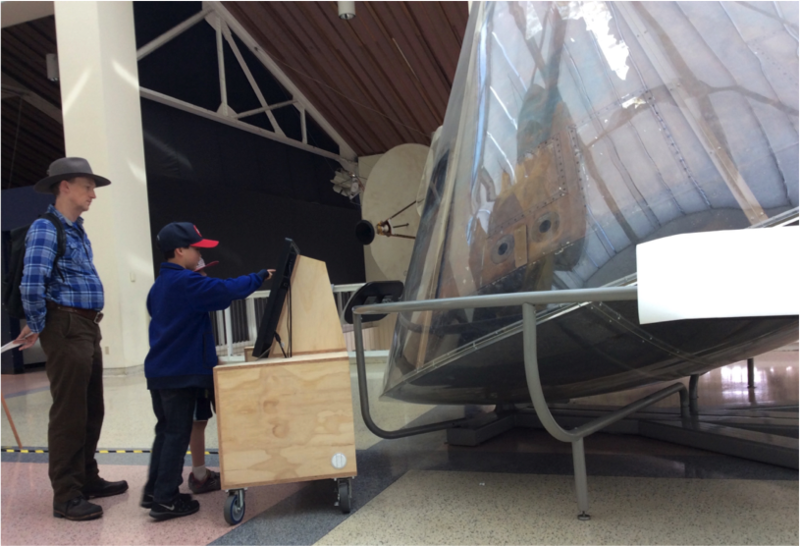 Working with a small team at the California Science Center, I evaluated the effectiveness of a “digital label” prototype exhibit—basically, a large touchscreen interactive with 3D wireframe models, videos, and photos—to help guests interpret the Apollo-Soyuz command module. I designed a study to evaluate the digital label’s effect on guests’ engagement with Apollo, as well as its user interface design. We evaluated 180 guests through techniques like timing and tracking, screen capture recordings, and exit interviews. 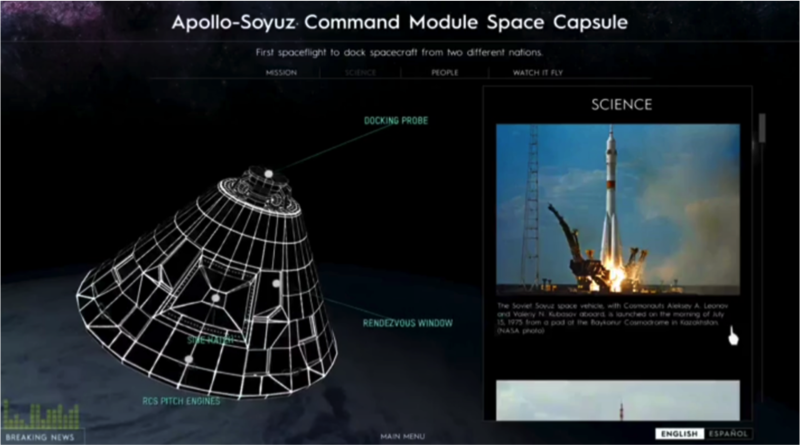 Guests who used the digital label stayed an average of 20 seconds longer and self-reported that they were more inspired to look at Apollo. 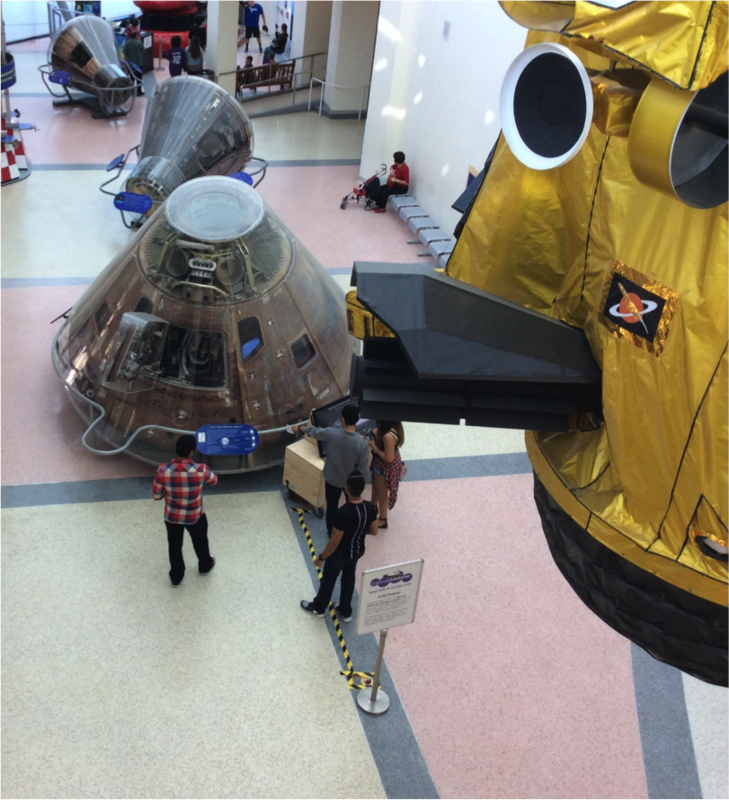 But, they also tended to spend a smaller fraction of their time looking at Apollo with the digital label. Based on these results, our team is refining and improving our approach to interpret large air and space artifacts with digital labels.